Several lawmakers and presidential candidates in 2016 have proposed changes to the federal estate tax. These changes are a worthwhile case study in economic modeling of tax proposals. 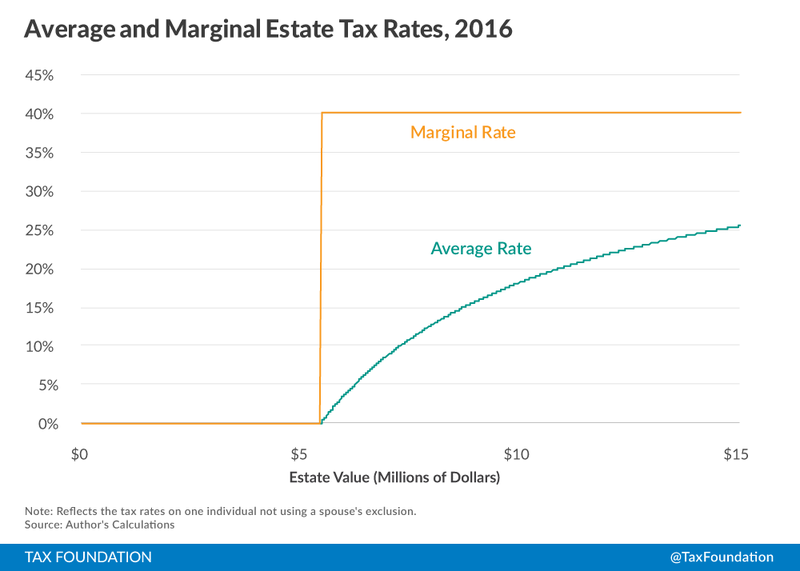 The estate tax’s marginal rate greatly exceeds its average rate, which makes its disincentives to save relatively strong for the small amount of revenue collected. The estate tax’s base includes most capital goods, encouraging the reallocation of economic production from capital goods to consumption goods, reducing productivity. Donald Trump proposed eliminating the estate tax, which would remove distortionary incentives from the tax code and increase economic output. Hillary Clinton proposed reducing the estate tax’s exemption and slightly increasing its rate, from 40 percent to 45 percent, which would increase the distortionary incentives of the tax, reducing economic output, but also increase the revenues from the tax. Bernie Sanders proposed reducing the estate tax’s exemption and substantially increasing rates, to a graduated system with a top rate of 65 percent. This would substantially increase the distortionary incentives of the tax, greatly reducing economic output. A number of lawmakers and presidential candidates in 2016 have proposed changes to the federal estate tax. The federal estate tax is levied by the Internal Revenue Service (IRS) on the transfer of the estate of a deceased person. While the tax is the subject of spirited political debate, it accounts for less than 1 percent of federal revenue and it applies to only a few thousand households annually. However, while the tax is small, it is a worthwhile case study in economic modeling of tax proposals under neoclassical growth assumptions. Under a neoclassical framework, economic output is determined by the supply of workers, known as labor, and the supply of tools they use to do their jobs, known as capital. Both of these respond to the incentives given to them by the tax system. Several elements of the U.S. estate tax lend themselves to worthwhile analysis under this framework. The rate structure of the estate tax illustrates a simple tradeoff in tax policy between progressivity (making richer taxpayers pay more) and improving incentives for people to build wealth by lowering marginal rates. Furthermore, its base, essentially a broad wealth base, is worthy of consideration because it includes some elastic commodities and some inelastic commodities. (That is, some things in the estate tax’s base are very responsive to taxation, but others are not.) Finally, it is a useful example because a substantial portion of its base is productivity-enhancing capital goods. Overall, under a dynamic model, the estate tax is one of the most economically harmful taxes per dollar of revenue raised. This report describes the estate tax’s general effects, as estimated by the Tax Foundation Taxes and Growth model, and then applies that reasoning to specific examples from 2016 policy proposals. The estate tax rate under current law is 40 percent for estate value above a threshold of $5.45 million. Estates with a value of less than $5.45 million pay no tax, because the tax liability they do have is fully offset by a tax credit, known as the unified estate and gift tax credit. However, all the value beyond that amount is subject to the 40 percent levy. The estate tax’s simple structure makes it easy to discuss the incentives it creates. Quite simply, for every dollar’s worth of wealth saved above $5.45 million, a taxpayer can only pass along 60 cents. This creates a disincentive to save money above that amount, and encourages alternate options, such as spending it immediately on consumption goods. One tradeoff involved with this structure is the tradeoff between incentives and progressivity. The tax in the U.S. has a very high marginal rate, at 40 percent. However, the average rate is much lower for most estates, because of the exemption. 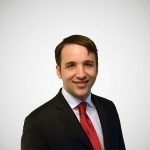 For example, an estate worth $6 million would have a marginal rate of 40 percent, but an average rate of only 3.7 percent, because the unified credit would offset almost all of the liability. This kind of system allows for progressivity, defined in this case as higher average tax rates on larger estates. However, its drawback is that it imposes a relatively high marginal rate without raising as much revenue. A system that lowered the exemption and lowered the rate could produce the same amount of revenue, while having smaller disincentive to save on the average dollar of wealth. The estate tax applies to all kinds of assets, including financial, such as stocks or bonds, and physical, such as real estate. While each of these is subject to the same 40 percent rate, these different assets can respond differently to taxation. These responses are known in economics as elasticities: the change in supply or demand of an item in relation to a change in price. In this case, the change in price comes from the tax. The estate tax effectively makes it more expensive for some families to hold assets and use them as they see fit. For example, the estate tax might make it more expensive for a family to keep business equipment and land over the long term; 40 percent more expensive, at the margin, to pass it along to another generation. However, despite being subject to the same tax rate, these two commodities, business equipment and land, have very different elasticities. Consider each in turn. When the estate tax applies to business equipment, a business owner planning for the estate tax might avoid purchasing the equipment and instead keep the business somewhat smaller (perhaps buying a consumption good instead) in order to make it less expensive to transfer. In response to this, eventually the producers of business equipment end up manufacturing less of it. This is elasticity in action: the change in quantity as a response to the change in price from the tax. But the estate tax has quite a different effect when it applies to land. The estate tax discourages families from purchasing land, just as it discourages them from purchasing business equipment. In anticipation of the estate tax, families might reduce the amount they are willing to pay for an acre of land. However, unlike business equipment, there are no producers of land. Land instead exists in a fixed amount, which means that taxing it doesn’t reduce the quantity of it. This means that land is perfectly inelastic: it does not change in quantity at all when its price is changed. Under a reasonable dynamic model of the estate tax, an estate tax increase would cause economic production to be allocated away from business equipment, reducing the quantity of business equipment in the economy. However, the quantity of land in the economy would not change. The primary effect of the estate tax under a dynamic model is that production is reallocated away from goods that fall under the estate tax base to goods that do not, as described above. This is true of many kinds of taxes, but it is particularly harmful in the case of the estate tax. The relationship between these assets and productivity is the focus of one of the most common models in economics, an equation called the Cobb-Douglas production function, which describes how workers and capital goods together produce economic output. Under this model, more capital increases output or income, even as the number of workers is held constant. It therefore increases GDP per hour worked, making people richer. Under such a model, reallocating economic production away from the capital goods that enhance output would reduce GDP in the long run. This is an effect that one might expect to see in a macroeconomic analysis of the estate tax. One common proposal concerning the estate tax is to eliminate it entirely. In 2016, this proposal was adopted by presidential candidate Donald Trump, among others. Eliminating the estate tax would have a first-order effect of decreased tax collections, but also a second-order effect from increasing the capital stock. Elimination of the estate tax would cause a reallocation of economic production from consumption goods to capital goods, relative to current levels. On the whole, the equilibrium level of capital investment in the economy would be 2.3 percent higher, which would boost productivity by 0.7 percent. As a result of the higher productivity, workers would be incentivized to work somewhat longer hours, increasing labor force participation by the equivalent of 159,000 full-time jobs. Eliminating the estate tax would decrease federal revenue by $240 billion over 10 years. However, the macroeconomic impact of the estate tax elimination would include increased wages and incomes, which would increase the receipts from other taxes. After taking this into account, the total revenue loss from estate tax elimination would be only $19 billion total over 10 years. Eliminating the estate tax would increase after-tax incomes for those taxpayers who receive assets from a taxable estate. After macroeconomic impacts of a larger capital stock are considered, it would increase after-tax incomes for all taxpayers. Another policy proposal concerning the estate tax is to restore its exempt amount and tax rate to the levels that were in place in 2009: namely, an exemption of $3.5 million and a rate of 45%. In 2016, this was proposed by presidential candidate Hillary Clinton. This increase in the estate tax would have a first-order effect of increased tax collections, but also a second-order effect from reducing the capital stock. Increasing the estate tax rate by five percentage points would slightly exacerbate the incentive under the estate tax to reallocate economic production from consumption goods to capital goods, relative to current levels. It would also subject more estates to that incentive. On the whole, the equilibrium level of capital investment in the economy would be 0.3 percent lower, which would reduce productivity by 0.1 percent. As a result of the lower productivity, workers would be incentivized to work slightly fewer hours, reducing labor force participation by the equivalent of 14,000 full-time jobs. Restoring the estate tax to 2009 parameters would increase revenues by $107 billion over 10 years. However, after considering the macroeconomic impact, and its effect on other taxes, the total revenue increase from the proposal would be only $82 billion over 10 years. Restoring the estate tax to 2009 parameters would reduce after-tax incomes for all taxpayers who receive assets from estates with a value exceeding the newly-lowered exempt amount. After macroeconomic impacts of a smaller capital stock are considered, it would decrease after-tax incomes for all taxpayers. A final policy proposal concerning the estate tax made in 2016 was to lower its exemption to $3.5 million and increase the rates on a progressive scale, up to 65 percent. This proposal was made by presidential candidate Bernie Sanders. Under this proposal, the top rate would be increased to 45 percent for taxable estates and gifts of $3.5 million to $10 million; to 50 percent for $10 million to $50 million; to 55 percent for $50 million to $500 million; and to 65 percent for more than $500 million. This increase in the estate tax would have a large first-order effect in that the estate tax would generate more than twice as much revenue. However, it would have a substantial second-order effect from reducing the capital stock. Increasing the estate tax rate this much would substantially exacerbate the incentive under the estate tax to reallocate economic production from consumption goods to capital goods. It would also subject more estates to that incentive. On the whole, the equilibrium level of capital investment in the economy would be 2.9 percent lower, which would reduce productivity by 0.9 percent. As a result of the lower productivity, workers would be incentivized to work fewer hours, reducing labor force participation by the equivalent of 194,000 full-time jobs. This tax proposal would increase revenues by $310 billion over 10 years as a first-order effect. However, after considering the macroeconomic impact, and its effect on other taxes, the total revenue increase from the proposal would be only $28 billion over 10 years. This proposal would reduce after-tax incomes for all taxpayers who receive assets from estates with a value exceeding the newly-lowered exempt amount. However, after the macroeconomic impacts of a smaller capital stock are considered, it would decrease after-tax incomes for all taxpayers. One notable feature of the two proposed estate tax increases is that the proposal to increase the top rate to 65 percent has a much larger economic impact than the proposal to restore the tax to 2009 parameters. The more robust estate tax increase proposal, espoused by Bernie Sanders, raises taxes by $310 billion. This is about three times bigger than the $107 billion increase proposed by Hillary Clinton. But in terms of key economic indicators like wage rate and GDP, the effects are about 10 times greater. This is a good illustration of the distinction between average rates and marginal rates. While both proposals increase tax revenue and increase average rates, Sanders’ proposal does much more to increase marginal rates. For first-order effects, described as “static” in this analysis, only average tax rates matter. But when it comes to second-order effects concerning people’s decisions, it is the marginal rate that matters. For each additional dollar of income saved by a taxpayer, how much could the taxpayer’s bill increase? Under the smaller, flatter tax increase, it is at most 5 cents. Under the more progressive tax increase, it can be as much as 25 cents. In terms of incentives, then, the two tax proposals are farther apart than their revenue estimates suggest. Three proposals to change the estate tax have received substantial publicity in 2016. Macroeconomic analysis of these three proposals can help illustrate important concepts in tax modeling. The estate tax is a good example of the way narrow-based taxes can change the allocation of economic production from what it otherwise would have been, and how that can increase or reduce the overall level of economic production in the long run. The estate tax is also a simple and illustrative example of the important distinction between average and marginal rates in tax analysis. Study of economic models in these and other tax issues can help policymakers craft better proposals in the future. Under one theory of optimal taxation, taxes should be applied to the most inelastic goods in the economy. See: Frank Ramsey, “A Contribution to the Theory of Taxation,” The Economic Journal, Vol. 37, Issue 145, March 1927. For the special case of land taxes, see: Henry George, Progress and Poverty, 1879.